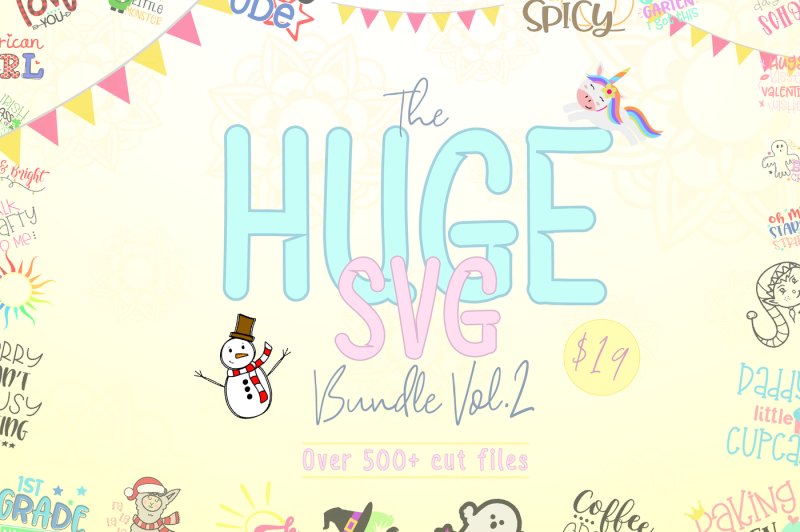 Introducing The Huge SVG Bundle Vol. 2, packed to the brim with a whopping total of 518 cut files! Includes SVG, DXF, PNG and EPS formats, for your creative craft projects all year round. You can own this whole collection for JUST $19! Grab it before it's gone! Commercial license included.